Youth and Adult Bike Trips - Alberta, Norway, Quebec, Vermont and Argentina! This is a chance for youth 14+ (and adults!) to explore new cultures and gain valuable experiences, make meaningful community connections while having the summer adventure of a lifetime. • All youth are invited to participate in our trips. • Riders don’t have to be living in Calgary or even Canada! We have participants from Alberta, Manitoba, Minnesota & North Carolina already signed up this year! If students choose an international trip they must have a passport and investigate appropriate travel visas, should they be required. • Registrations will be accepted first come, first served until the trips are full. • We work to keep our trips affordable for everyone. All participants have the opportunity to fundraise for their trip cost. TWV can help individuals with fundraising strategies and tools. A charitable tax receipt will be issued for all eligible donations. • Registrations close April 30th and trips can be cancelled if registration is low. TWV takes care of all the pre-trip preparation, travel arrangements, supervision, safety, accommodations, bicycles and meals. Our leaders are experienced in student travel, youth development and adventure-based education. 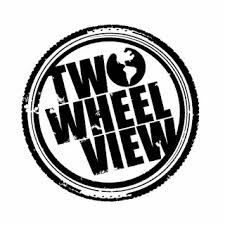 Two Wheel View provides leadership, environmental and cultural exchange programs to young people through their participation in bicycle education and trip programs. Should We Sit Less and Stand More?